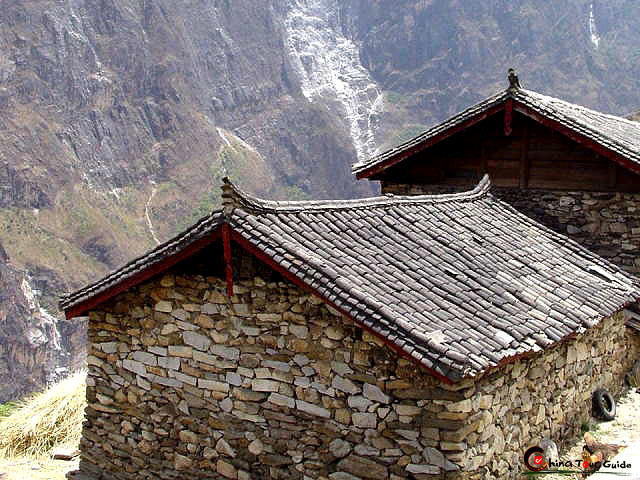 Haba is a language of Naxi ethnic group which means the flower of gold. 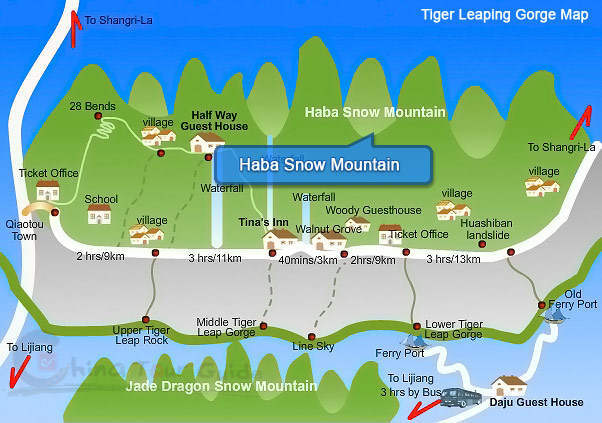 The Haba Snow Mountain and the Jade Dragon Snow Mountain are known as two brothers in folklore. 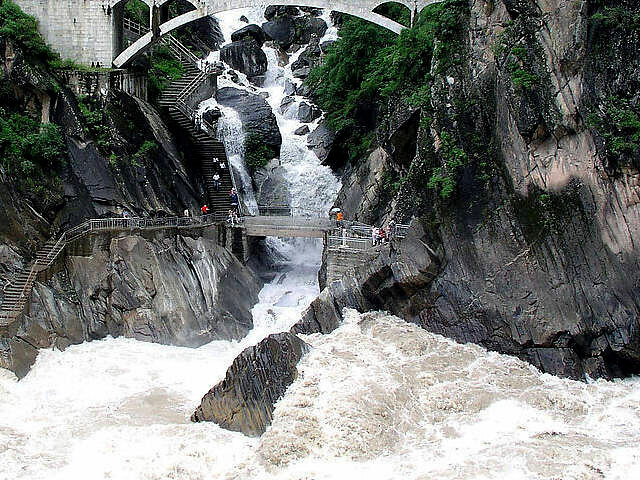 The Golden Sands River goes between the two Snow Mountains from which the Tiger Leaping Gorge forms. 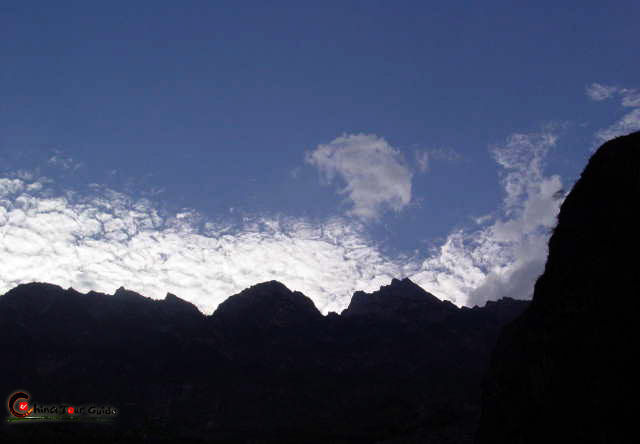 The highest peak of the Haba Snow Mountain is in 5396 meters (3.35 miles) height with ice and snow all the year round. 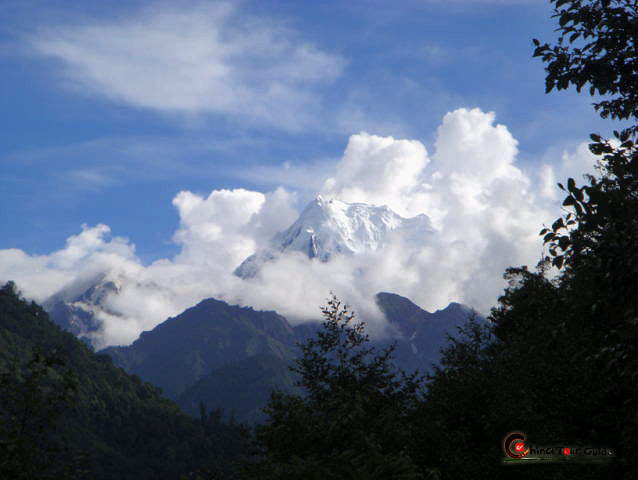 Standing tall and straight with four small apexes around it, the peak of the mountain appears like a shining Royal Coronas. The snow apex is constantly changing along with the seasons, which make the corona now appear and then disappear. 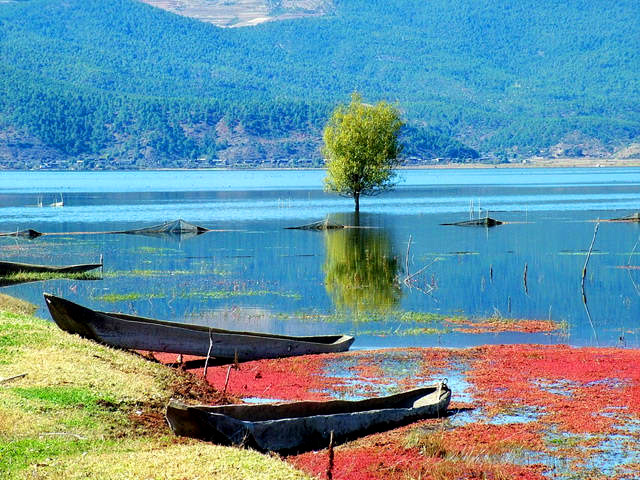 The highest peak with ice and snow all the year round. 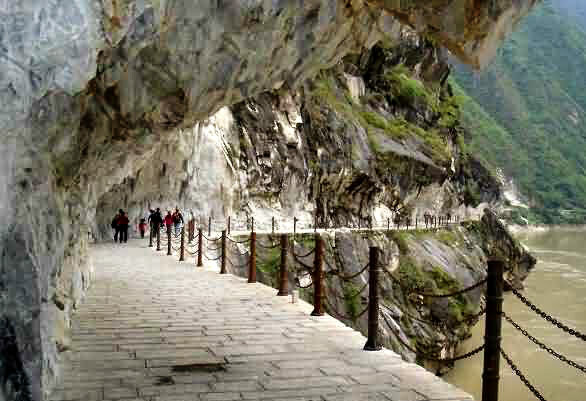 There are two ways for hiking on the gorge; one is from Haba Snow Mountain passing the 28 Bends of the snow mountain from Zhongdian(Shangri-la); the other way is from the Jade Dragon Snow Mountain to Daju Village and hiking from the Lower Section of Tiger Leaping Gorge to the Upper.